Japan has always been one of my favourite travel destinations but I have yet to visit Japan during the cherry blossom season. 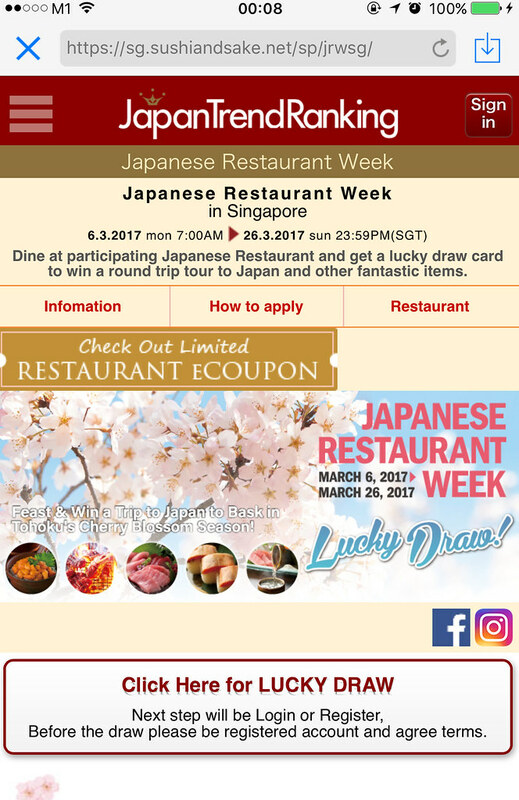 If you are like me, there is an opportunity to do so by dining at any of the 69 participating Japanese restaurants taking part in the 7th installation of Japanese Restaurant Week in Singapore, happening from 6 March to 26 March 2017. 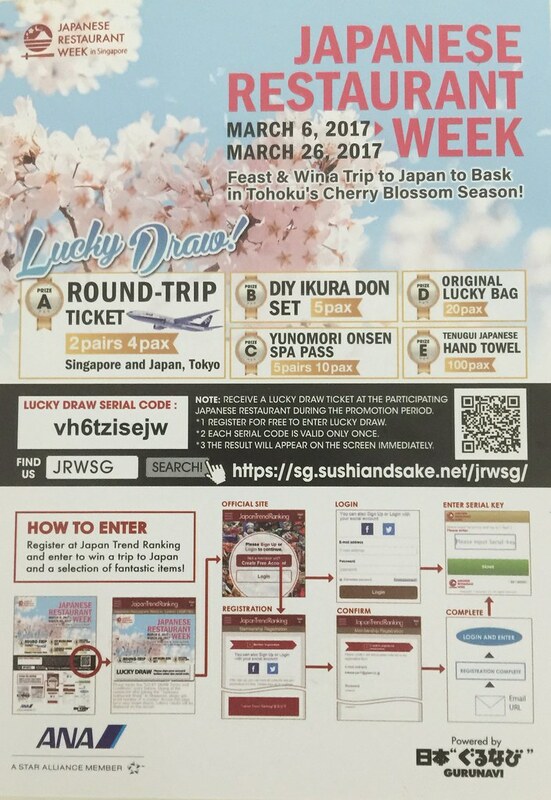 Diners will receive a lucky draw card for a chance to win airplane tickets by ANA to enjoy the cherry blossom season in Tohoku Japan. 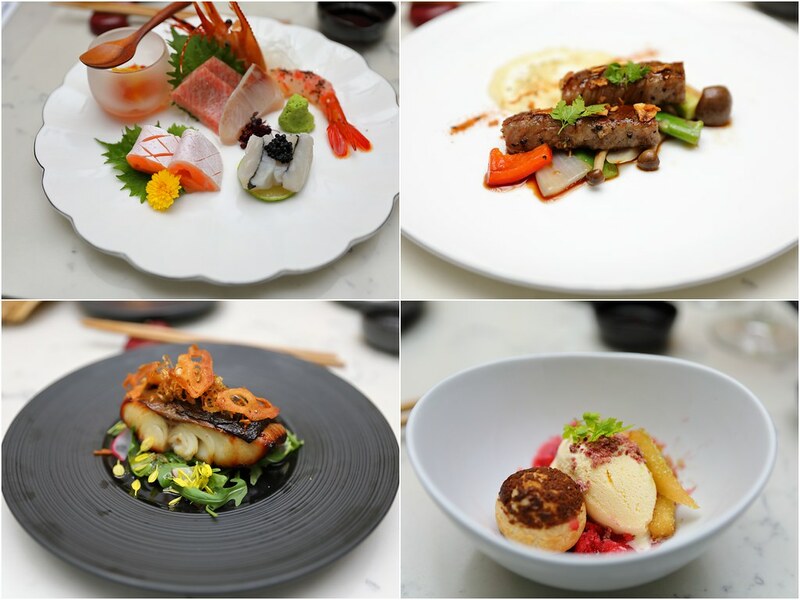 One of the 70 restaurants particiating in the Japanese Restaurant Week is TFS Private Works at Telok Ayer Street. The sister restaurant of The Flying Squirrel. I had their 7 courses omakase dinner ($158) that consists of seasonal appetizers, sashimi, assorted cooked dishes, sushi, soup and dessert. For an additional top up of ($69), you can have 4 glasses of wine and/or sake pairing to go with the dishes. 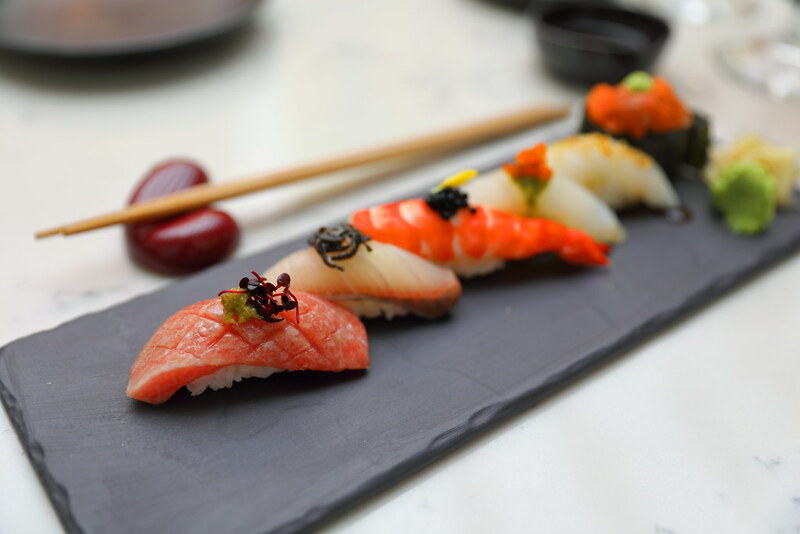 I have always enjoy omakase dinner letting the chef showcases the freshest ingredients of the day while at the same time allowing the chef's creative to speak in the dishes. 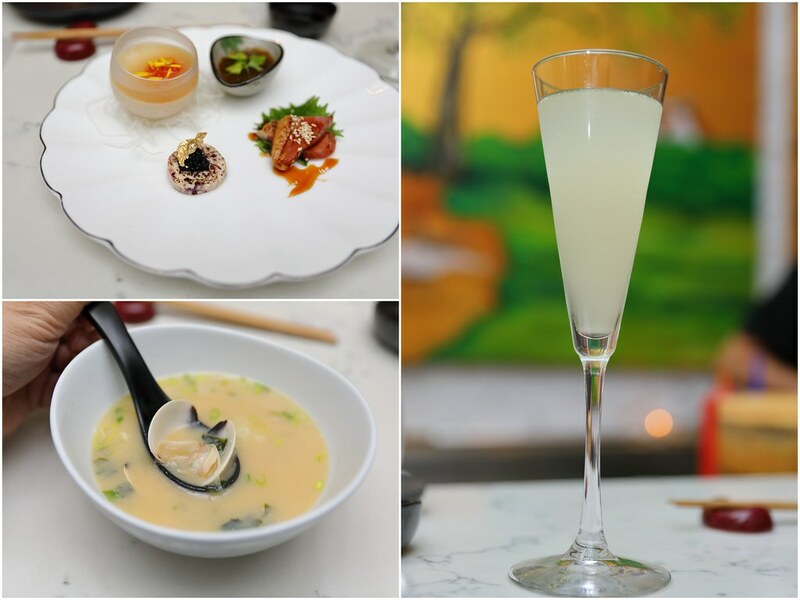 Throughout the 7 courses, I have enjoyed Chef Jun's modern rendition of the Japanese cuisine. I like his bold combination of flavours to give the ingredients an accentuated lift in flavours. Step 1: Scan the QR code on the Lucky Draw Card. 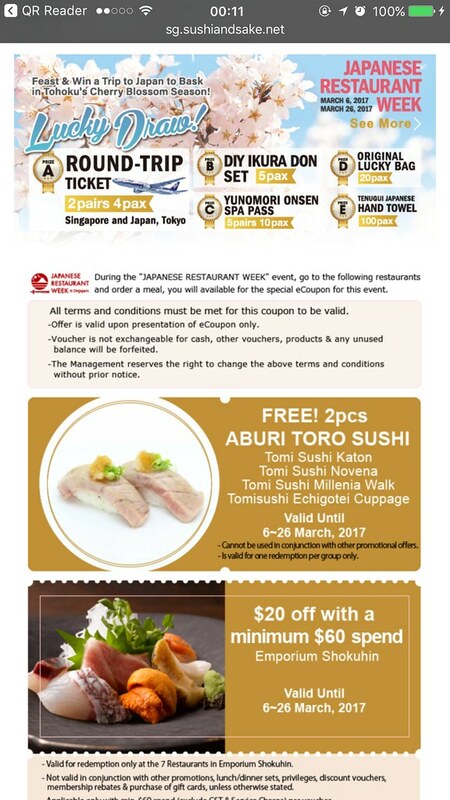 After my dinner and upon settling my bill, I was given a lucky draw to take back in the Japanese Restaurant Week lucky draw. There are over 130 prizes to be won with the the grand price of flying to Tokyo, Japan. Taking part in the lucky draw is pretty simple. Just have to use your smartphone and scan the QR Code. 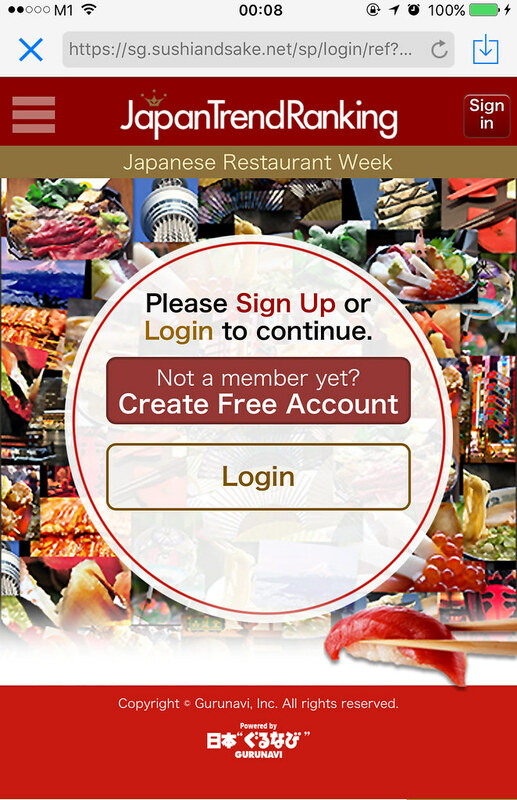 It will bring you to a official site for the Japanese Restaurant Week. 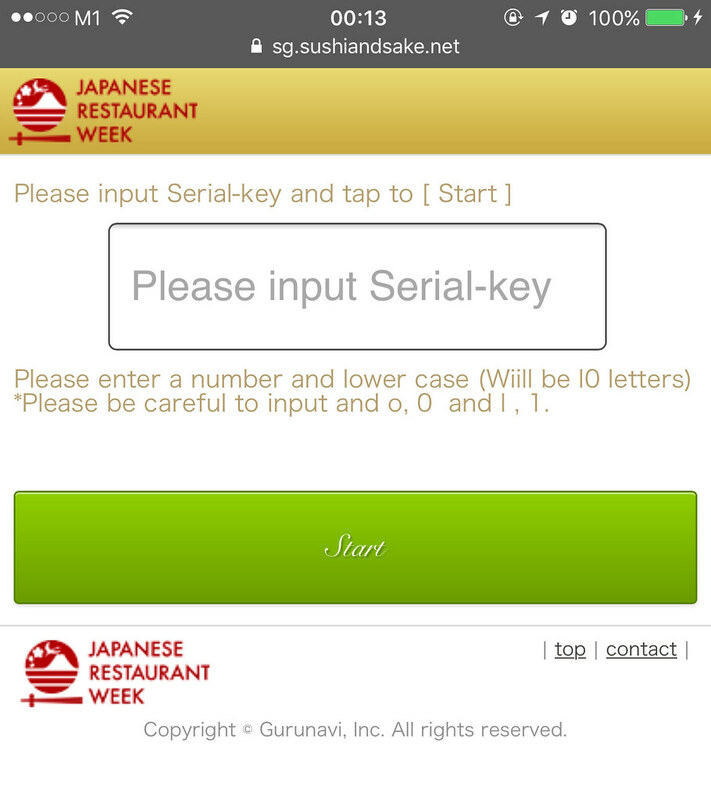 Step 2: Tap on "Click Here for LUCKY DRAW"
At the Japanese Restaurant Week website. Simply scroll down to the bottom of the page and tap on "Click Here for LUCKY DRAW". It will bring you to the login page. f you have already registered. Simple tap on login to enter. If not, proceed to create a new account. If you are a new member, you can either register with your social facebook or twitter account, or simply enter your email address and password. Upon completing your registration or login, you will be brought to the lucky draw page whereby you will require to enter the Serial Code that is found on your lucky draw Card. Once you have done so, just tap on Start and you will know the result instantly. Oh! 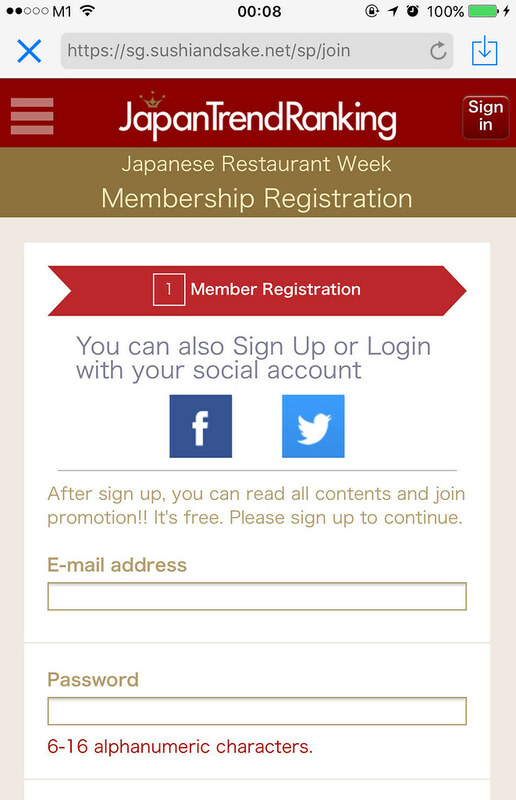 By the way, do remember to go to Japanese Restaurant Week website to grab some e-coupons to kick start your dining experience which you can redeem at 4 of the participating restaurants. So what are you waiting for? Don't miss the chance to win airplane ticket to Japan.